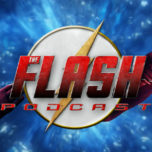 On this week’s episode of The Flash Podcast, Andy and Lauren get together to review 2.03 of The Flash titled “Family of Rogues” that continues the introduction of Mama Francine West (played by the talented Vanessa Williams) as well as the big return of the Snart siblings, Captain Cold and Golden Glider, as Michael Ironside guest stars as Daddy Lewis Snart, causing all sorts of trouble for both his kids and Team Flash. The duo also read listener feedback and e-mails about “Family of Rogues” before getting into the preview session for next week’s episode, “The Fury of Firestorm” – it’s time to find Martin Stein a new Firestorm half! 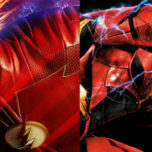 That and more on the latest episode of The Flash Podcast!